Magic Bands work primarily off RFID and GPS technologies; the former is a marriage of radio frequencies and microchip technologies whereas the latter is built upon geo-locating satellite transmitters and receivers (Schnell, 2013). Think of RFID technology as the older IR (infrared) technology but not requiring the same line of sight. Both are limited to short distances. Writing on Near Field Communication (NFC), Schnell highlights that NFC is a “contactless exchange [of information] that takes place over short distances…NFC allows users to perform contactless (although sometimes brief contact is also used) access to digital content and connect to other electronic devices simply by bringing their mobile devices into close proximity” (Schnell, 2015 p.101). Everything from reading and writing information to programming for specific tasks can be accomplished with NFC. Outside of the magical examples, NFC can be seen in the technology that tells a phone or computer to go to sleep when placed on a special stand or dock. More commonly known, there are mobile device charging stations that respond simply by placing the phone on the charging pad (with no cable connectivity required). NFC technology is also found in the growing number of consumers who are using ApplePay® to make purchases by holding the iPhone close to an ApplePay reader and using the security of a fingerprint. The method by which Apple is integrating ApplePay into the functionality of the iPhone and the experience in the Apple Store is the similar to the method by which the Magic Bands operate. Both perform similar tasks, but for different purposes. The widespread ramifications of the Magic Band system will be felt not only by real theme parks (i.e. Universal Studios, SeaWorld Parks and Entertainment) but also by museums, airports, and zoos, aquariums, and many more places that integrate hospitality, transportation, and merchandise into the daily operations. The intel collected from the use of the bands is unprecedented (Pameri, et al, 2014). The question at hand is two fold, (1) beyond the superficial uses, how else is the tracking information used? (2) beyond the vacation management system (MyMagic+), how else does this smart data affect other business decisions? The two fold question has one common element: privacy. The indirect results of weeks and months of smart data collection can be used to affect decisions like how many employees (Cast Members in the Disney vernacular) to staff at each attraction, restaurant, or resort. By analyzing the number of FastPass reservations made through the My Disney Experience app (the flagship app in the MyMagic+ system) and reflecting those numbers against the number of standby guests (guests without FastPasses who have to wait in the traditional queue) all the while just qualifying those numbers against the physical number of guests through the attraction entrance, Disney World can make effective decisions based upon copious amounts of dynamic data. This same smart data can even help determine what items to stock in the various merchandise shops and even how many character performers should be strategically roaming the park (Palmeri, et al, 2014). It is conceivable to conclude that this same information can also be used in the decision making process of a new movie, television show, or Broadway show. “To infinity and beyond” with this information as Toy Story’s Buzz Lightyear would say. At the end of the day, there really is not anything particularly magical about the Magic Band. It takes what, as Jurassic Park’s Ian Malcolm would say, “others have done and took the next step” (Jurassic Park, 1993). The Magic Band is next evolution in the wearable technology trend of integrating technology seamlessly into the everyday or more mundane tasks for which, otherwise, time has to be separately allocated. Experiences with a brand or product are customized by collecting, tracking, qualifying, and quantifying data created by the [perceived] end user. The word perceived is in brackets because it is truly the company who is the end user of the data because they decide what to do with it and whether to sell it to another buyer. According to Adam Thierer, “wearable technologies are among the fastest-growing segment of internet-based technologies and promise to have widespread societal influences in the coming years” (p1 2015). These positive and negative consequences can include challenges to present societal norms, mores, and more. Economic and legal norms and guidelines may also find themselves challenged by the data provided by wearable technologies. This is not so unlike Disney’s decision-making in the parks about staffing and merchandise. Like with any new technology, safety (including, but not limited to privacy and security) is a major concern and the skeptics often outweigh those who are welcoming of new communications technologies with open arms. If safety was always paramount and truly dictated innovation, then it is likely that entrepreneurship, economic growth, ingenuity, and invention could be greatly mitigated (Thierer, 2015). There must be a balance struck between acknowledging safety (in the case of this paper, privacy) but permitting new communications technologies to breach it to a small extent to pave the way for a more efficient means of conducting business or creating experiences. The best means of dealing with privacy issues, in terms of wearable technologies, is to creatively deal with them as they rise up (Thierer, 2015). Unfortunately, sometimes privacy issues are ignored or seen as passé in order to commodify data. That is the crux of the issue. Beyond the obvious uses of the Magic Bands, is the privacy of consumers compromised and is the data being sold off? Without conducting an empirical research study and interviews with those who monitor and support the technology, it is entirely possible that the answer will not be known for some time yet since the MyMagic+ system is still relatively new. But, past research can show us how similar technologies are used, and by extension, apply those practices to the MagicBands and the data collected by them. Interestingly, privacy awareness over what is now referred to as smart data can be traced back to 2006—a time in which many were unaware that the aforementioned technology existed, at least in its present form (Mokbel, 2006). The idea of location-based information is not new—that is how Google Maps mobile app works as well as just the basic GPS in your vehicle. But, that same technology has become smaller, less expensive, and can be integrated into many different items including the Disney Magic Bands. 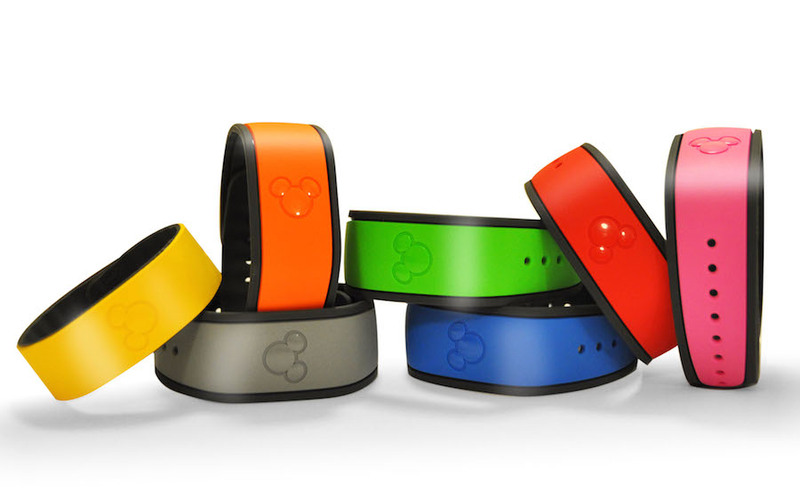 Why integrate this technology into items like the Disney Magic Bands? Simply stated, it is because “user requests to location-based services can be modeled as spatio-temporal queries that can be efficiently executed over large numbers of mobile users through database management modules, e.g., data indexing, query processing, and query optimization” (Mokbel, P1, 2006). The possibilities of channeling the data in copious ways provides an unprecedented quality and quantity of data that can be cited in the development of various decisions. It is not that this same data could not be quantified in any other way, but this method is far more efficient because it would take exponentially more hours and resources to achieve the same results through more conventional means—at least convention as it was known until the advent of smart data devices.